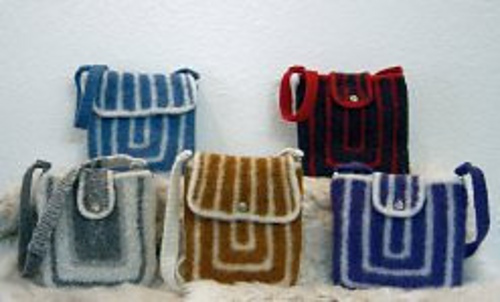 Yarns with strong contrast make Around The World Felted Bags as much fun to knit as they are to carry. 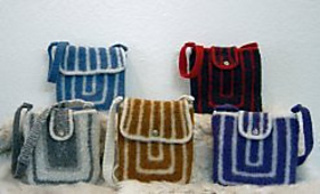 Choice of either a flap or tab closure. Attaching handles is easy. Simply sew the ends to suspender clips and clip them on. It couldn’t be easier! Pattern written for worsted 10 ply with bulky 14 ply version in parentheses. Finished size: 11” h x 10” w, regardless of yarn weight.